Legal News You Can Use: How do you Hold an Impaired Driver Accountable After an Accident? You are here: Home / Columnists / Legal / Legal News You Can Use: How do you Hold an Impaired Driver Accountable After an Accident? SPONSORED POST: In fatal motor vehicle accidents, the National Highway Traffic Safety Administration collects blood alcohol content levels for analysis in the Fatality Analysis Reporting System. This reporting requirement applies to all states. However, authorities do not have as standardized an approach to non-fatal crashes. After responding to the scene of an accident, police authorities may request testing of a driver who exhibits signs of intoxication. Yet is this enough? 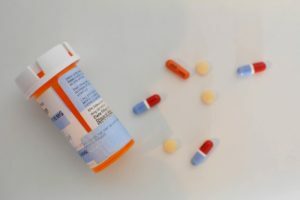 There are many influences that may render a driver unfit to get behind the wheel, including prescription drugs, opioid medications, or marijuana use, which may not be as noticeable as the effects of alcohol. Significantly, an analysis of federal crash data from 2015 indicates that more drivers in fatal motor vehicle accidents had been under the influence of drugs, legal or illegal, than alcohol. Specifically, the data indicated that 43 percent of drivers had been drug impaired, compared to 37 percent who were driving under the influence of alcohol. This begs the question of whether a crash victim will be able to hold a negligent driver accountable under the law. In Connecticut, an individual may file a personal injury lawsuit against a negligent driver. By a preponderance of the evidence standard, the crash victim must prove that the named defendant(s) breached the duty of safe driving incumbent upon all licensed drivers. In a personal injury case, a reasonableness standard is used to evaluate the actions of an allegedly negligent driver. Examples may include failing to obey traffic laws, driving inappropriately for traffic or road conditions, or getting behind the wheel when drugs or alcohol render you unfit to drive.